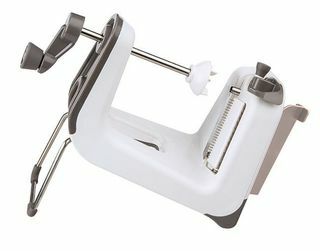 The Gefu spiral slicer is the original, innovative vegetable slicer. The high quality Japanese stainless steel blades and body make this the sharpest, most durable spiral slicer on the market. The Zyliss swivel peeler is an all-purpose tool that is up for any job. 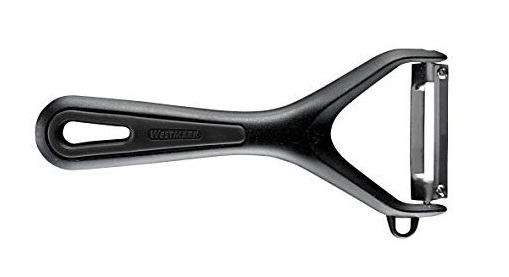 The Zyliss Y peeler is an all-purpose tool that is up for any job. 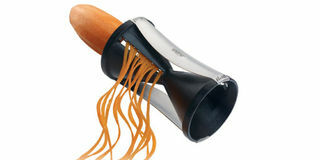 The Oxo Good Grips swivel peeler has a sharp, stainless steel blade that peels easily and remains sharp for a long time. 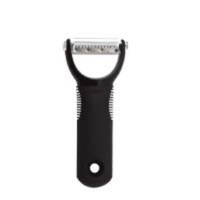 The handle is very comfortable, and it has a built-in potato eyer. 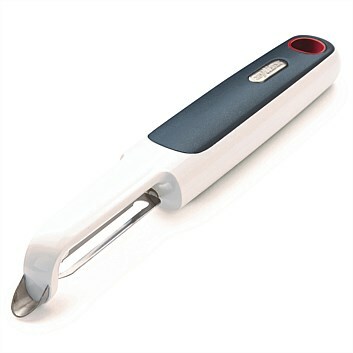 The Oxo Good Grips julienene peeler has a sharp, stainless steel blade that peels easily and remains sharp for a long time. The handle is very comfortable, and it has a built-in potato eyer. 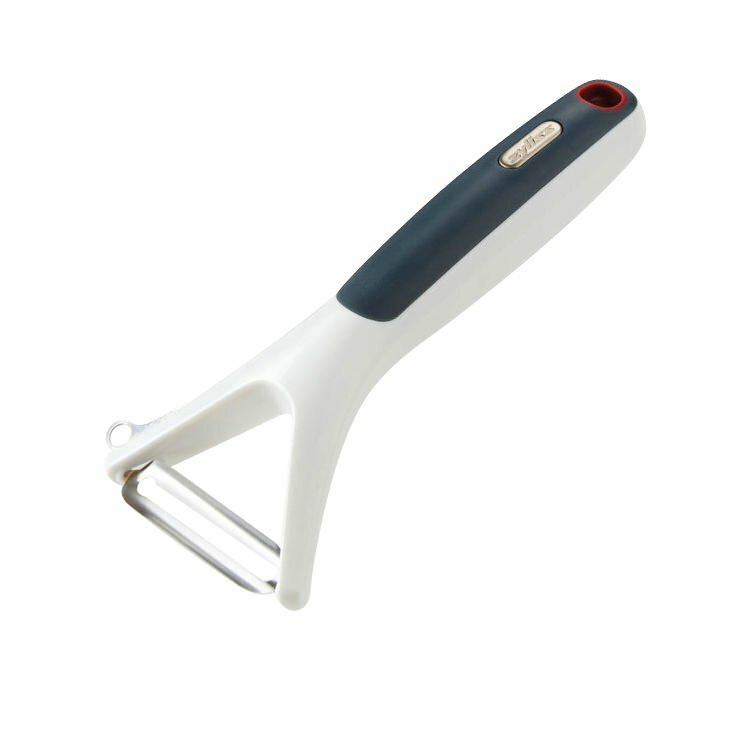 The Oxo Good Grips Y swivel peeler has a sharp, stainless steel blade that peels easily and remains sharp for a long time. The handle is very comfortable, and it has a built-in potato eyer. Designed and manufactured in Switzerland by Victorinox, this Zena Star julienne product is engineered to be functional, durable and reliable. Designed and manufactured in Switzerland by Victorinox, Zena products are engineered to be functional, durable and reliable. Designed and manufactured in Switzerland by Victorinox, this Zena Star product is engineered to be functional, durable and reliable. 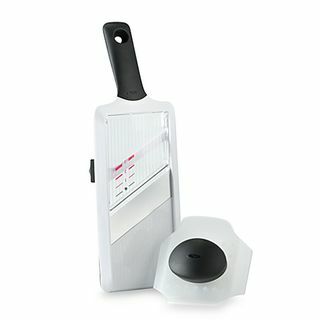 The Oxo Good Grips hand-held mandolin slicer has a soft knob to adjust the slice thickness then slide the food over the stainless steel blade for perfect, even slices. 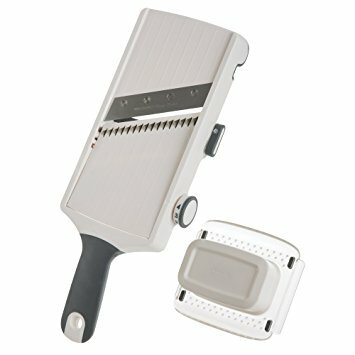 The Progressive julienne & slicer is a hand held mandolin slicer that allows you to both slice and julienne. 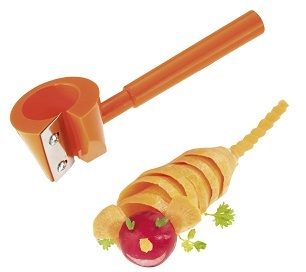 This Westmark deco garnishing grater is perfect for decorating long vegetables, carrots and radishes. 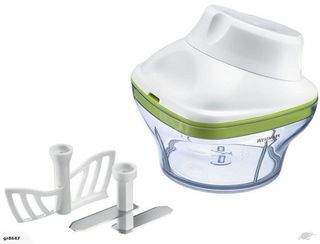 This onion slicer with double sided blades is great for chopping onions, fruit or fresh herbs. 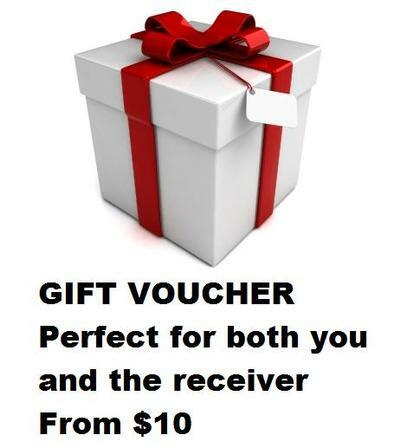 Comes with additional whisk insert for mixing dressings or marinades. With comfortable polypropylene handle and top grade stainless steel blade you will peel julienne stripes from those vegetables with greater ease than ever before! 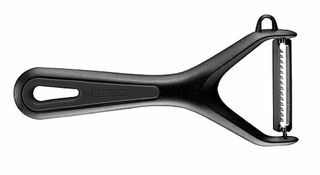 With comfortable polypropylene handle and top grade stainless steel blade you will peel those vegetables with greater ease than ever before! 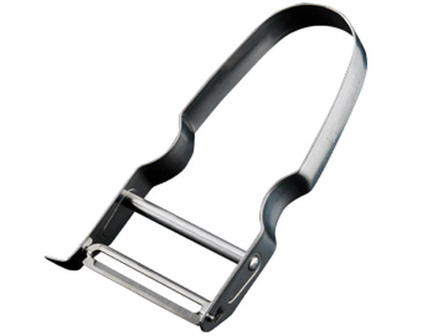 The Krisk Julienne slicer is an absolute must to prepare matchstick-thin slices for salads, cooking and garnishes. 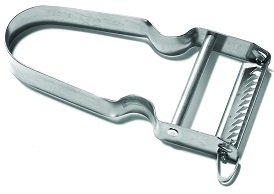 The Krisk bean slicer is an absolute must to prepare french beans. 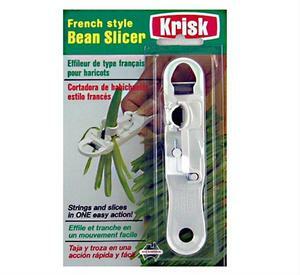 The Krisk bean slicer strings and slices in one action! 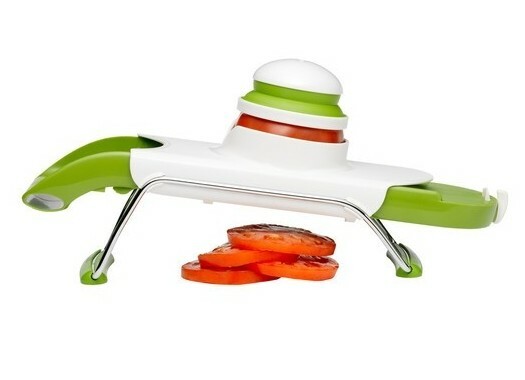 The design of the Pull’n Slice mandoline is unlike any other - keep food still while the deck moves to slice. Try your hand at spiralizing without sacrificing valuable storage space. This collapsible spiralizer makes it easy to process your favorite fruits and veggies into colorful spirals. 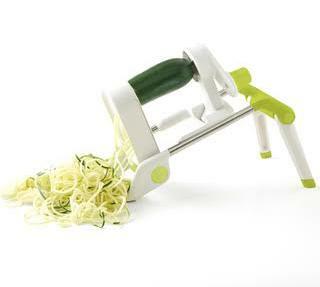 Slice beautiful spirals and ribbons of vegetables with the PL8® Professional Spiralizer.